I will say rolling through WinCo with two carts of pumpkins turns a lot of heads. Doubly so when you say what you’re doing with them. 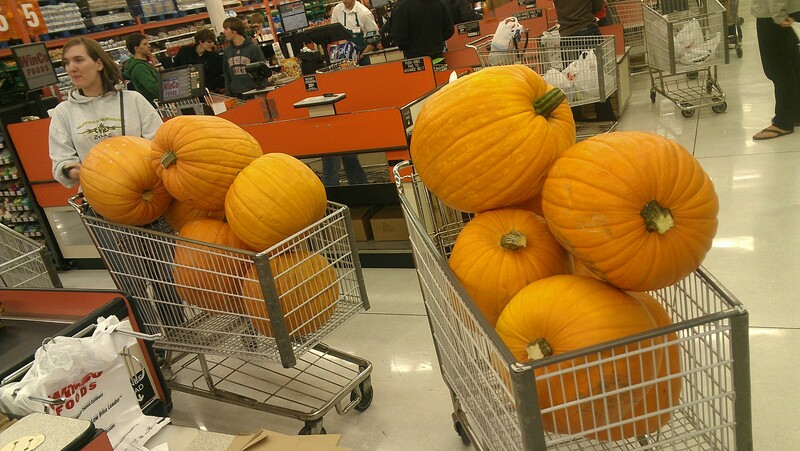 I feel a MasterCard spoof coming on… I wish I had filmed buying the pumpkins now. And if you’re still unsure see the categories or this. Interesting, Virginia is it’s own country… I can view it just fine. It has a Smashing Pumpkins soundtracks. Good to know that BMG & EMI have declared Virginia a sovereign state. Won’t play in Seattle either, embedded or directly from YouTube.